Tango's passion reaches far and wide. As if you'd need proof, Finland hosts The Seinäjoki Tango Festival with over 100,000 attendees for the 5 day festival. There are few phenomena that have travelled so far and yet managed to root themselves so deeply into the Finnish soil as the tango. Not only was the original tango welcomed and fostered in Finland, but over the years it has also developed a new identity and become part of our way of life. 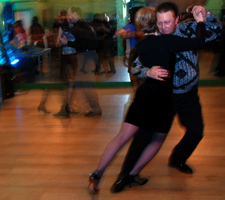 The Finnish tango is one of the few genuinely original things in Finnish music and popular entertainment. We may forget this ourselves every once in a while, but visitors to our shores cannot help but notice it, and fall in love with it. The first Finnish tangos, classics since their birth, date back to the 1930s. Both the form and the spirit of tango in the Finnish manner were crystallized during the Second World War. As people were brought apart, sometimes for good, feelings of longing and loneliness grew more intensified. However, there is a lot of hope and buoyancy in the tango; in fact, it is made up of the same ingredients as life itself. Great Finnish composers, led by the two masters Toivo Kärki and Unto Mononen, have created many tango experiences for us all to share. Similarly, many singers are chiefly remembered for their tango interpretations. First Olavi Virta, Henry Theel, and Veikko Tuomi in the 1940s and 50s, and later Eino Grön, Reijo Taipale, Taisto Tammi, Markus Allan, Esko Rahkonen and many others, including the younger crop fostered by the Tango Festival. At the turn of the 1960s the word was that the tango is passé. This was followed by a period characterized by some as the "comeback" of the tango. However, singers and musicians who had continued to perform tangos, and particularly the Finnish folk which had continued to dance and listen to them, knew well that the tango was never out of fashion. On the contrary, some of the fads supposedly ousting the tango actually vanished as suddenly as they had appeared. 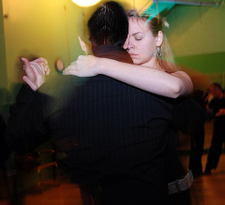 Neither would the Seinäjoki Tango Festival have experienced such a huge success without the intimate relationship of the Finns with the tango. Every time I go to the dance, with all my pain and all the tragedies in life and all the disappointments, for two, three, four hours, however long we're there: La vida es una milonga. The whole life is a ball. read the full article by Diego Graglia here: Some Sleep, Others Tango. A milonga is a tango party. Sunday nights draw a crowd at Studio Gracia for Argentine Tango. Really the word 'crowd' doesn't do this justice. This is a family of dancers who make the time to be here. Ken and Natasha Delmar host the milonga in a downtown converted warehouse where "elegant attire is encouraged", lessons are offered at the beginning of the evening, and dance shoes are sold. 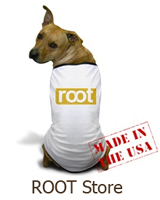 root focuses on an extra dance during each bi-monthly feature. As we report on Flamenco through June, we bring you another dance form to read and learn about. This month's xtra dance is the Tango. Argentine Tango is considered the dance of passion. It has crossed international borders beyond imagination. Tango lovers through out the world enjoy a common language, in which a new story is told every night. Unlike other types of dances the tango language continues to grow, defying all efforts of standardization or establishing guidelines enabling an impressive growth for the tango community on one hand and a formidable challenge on the other for the students of tango. Everyone can dance tango regardless of age, background, body type. While the stage dancers bring their art to audiences, tango still belongs to all people. BailaTango, under the guidance of Metin Yazir, is an Argentine Tango school bringing together many talented individuals in ten cities spread to four countries: USA, Canada, Turkey & Germany. Baila Tango family currently has over thirty instructors. Some are highly successful professionals in various fields and part time instructors and others teach full time. They all share with one vision: their love of tango in their communities. To them tango is more than a dance, it is a lifestyle: love for the music, passion for the dance, respect for all on and off the dance floor. 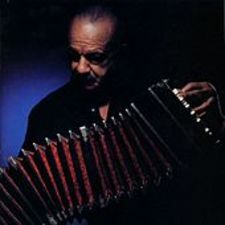 Baila Tango's philosophy is that of tango as a dialogue, as opposed to monologues by the dominant men, between two independent and actively participating individuals connecting them at a higher level. Lead and follow concepts transcend to invitations and acceptances. This heightened respect for the women is the foundation of this vision. Their goal is to spread the love of tango and see their students on the dance floor as soon as possible, dancing with music, with feeling, and most importantly with partner. 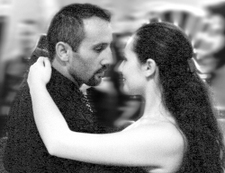 Since tango is a passion, the instructors bring lots of energy, enthusiasm and sense of humor to their teaching. They are the dancers, teachers and organizers of practices, dances and special events. In fact they create tango communities and play a leading role in the development of these communities. Progress is their main motivation and they consider themselves lifelong students of tango. Recommended music: Di Sarli, D’Arienzo, Canarao, Calo, Pugliese, Troilo. Recommended outfit: Dance shoes because comfort comes first for a healthy tango life. Ladies beware of open toes and high heels as you are learning if you are not comfortable with them. Gentlemen be ready to bring a change of shirt. Of course a piece of mint is always recommended. Photos: (top left) Metin Yazir & Rebecca Shulman taken by Grant Leduc, (bottom right) Metin Yazir & Vanessa Gauch taken by Jak Karako.